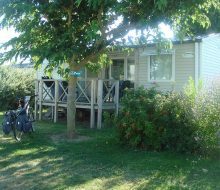 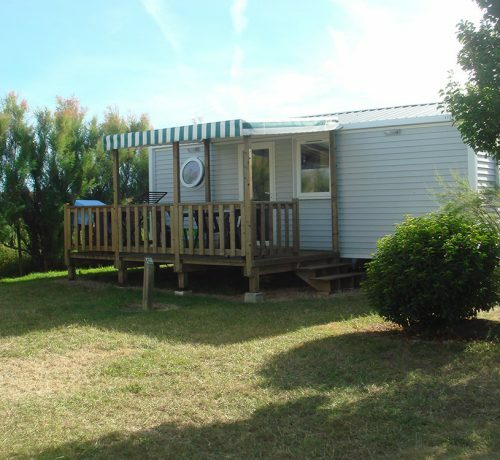 Rent a mobile home near La Tranche-sur-Mer in the Vendée. 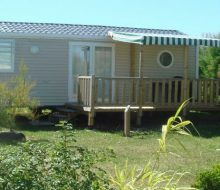 Mobile home holidays….with all mod cons! 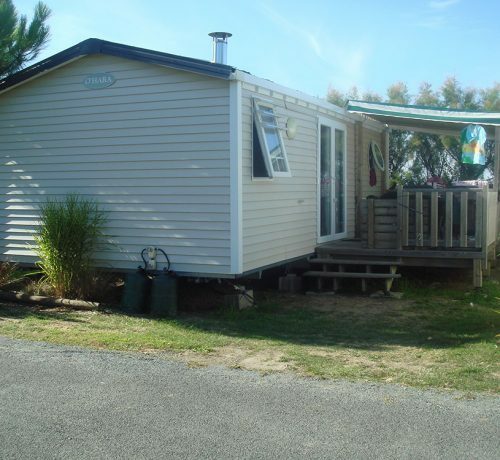 Spacious mobile home with WC, separate bathroom and semi-covered terrace next to parking space. 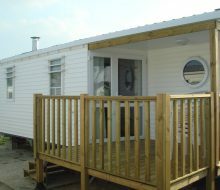 Or better still, there’s the Prestige Patio mobile home, ideal for 2 couples or a couple with teenage children. 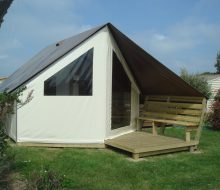 Or you could holiday in a lodge which combines comfort with all the charm of camping. 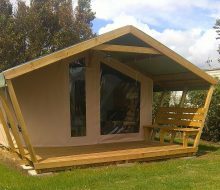 Don’t forget to check out our special offers : two-person discount, spring weekend break and 2-3 extra nights free (depending on package) on minimum stays of one week. 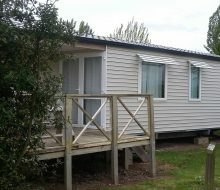 Wifi access (3 packages) from rental property and barbecue available at each wash block. 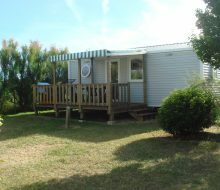 Sheets, pillow cases, high chair and cot available to rent. 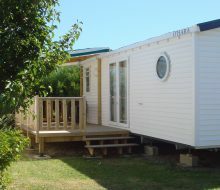 , 1 wash block with cubicle for persons of reduced mobility and baby cubicle for young children. 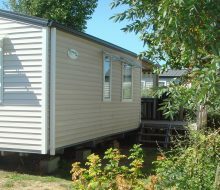 Whether you choose a lodge, a Comfort, Leisure, Grand Comfort, Grand Comfort Plus or Prestige Patio mobile home, at Grand R CAMPSITE, you’ll be sure to find your perfect accommodation so you can enjoy a fantastic holiday.